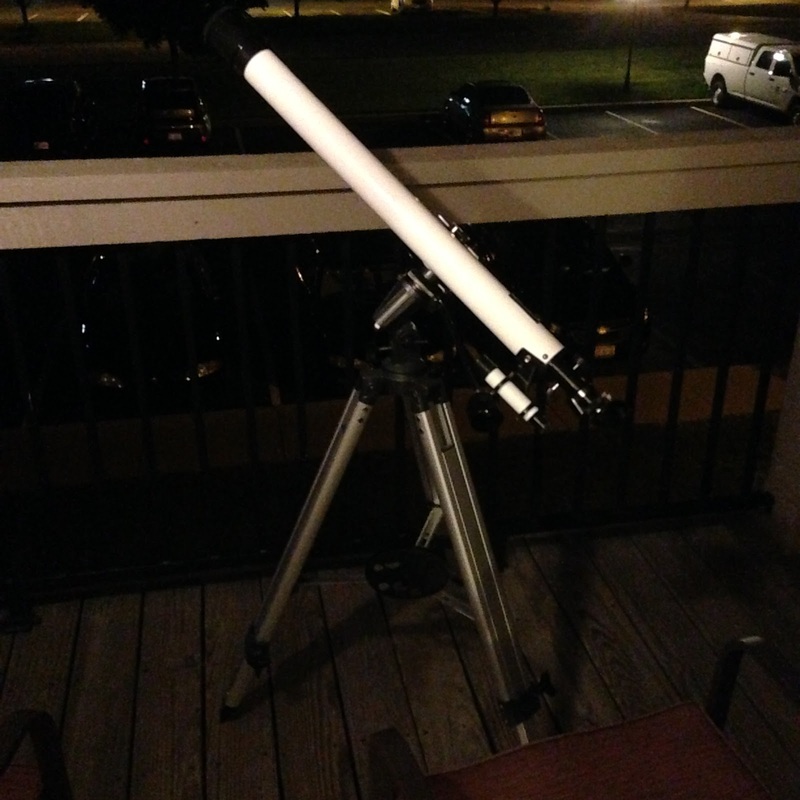 Went out on the balcony for some observing last night at around 1:30am. 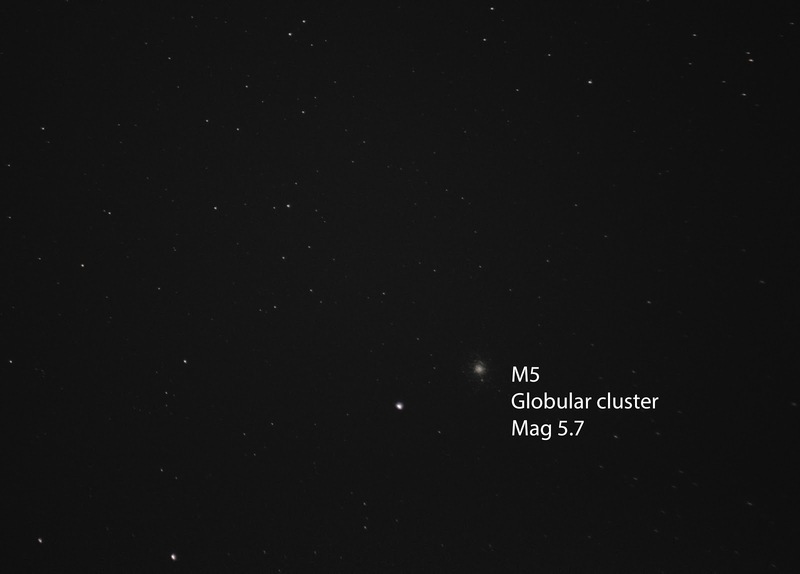 I star hopped along Virgo to find the M5 globular cluster. It is rather large and bright, but unfortunately I think my 1.3 sec exposure caused star trails because M5 is close to the celestial equator and so appears to be moving faster. This cluster brings my Messier Object total up to 64 out of 110. I also observed Saturn through my Meade 285 refractor and 6mm eyepiece. I could clearly see the rings, but could not identify the Cassini Division. 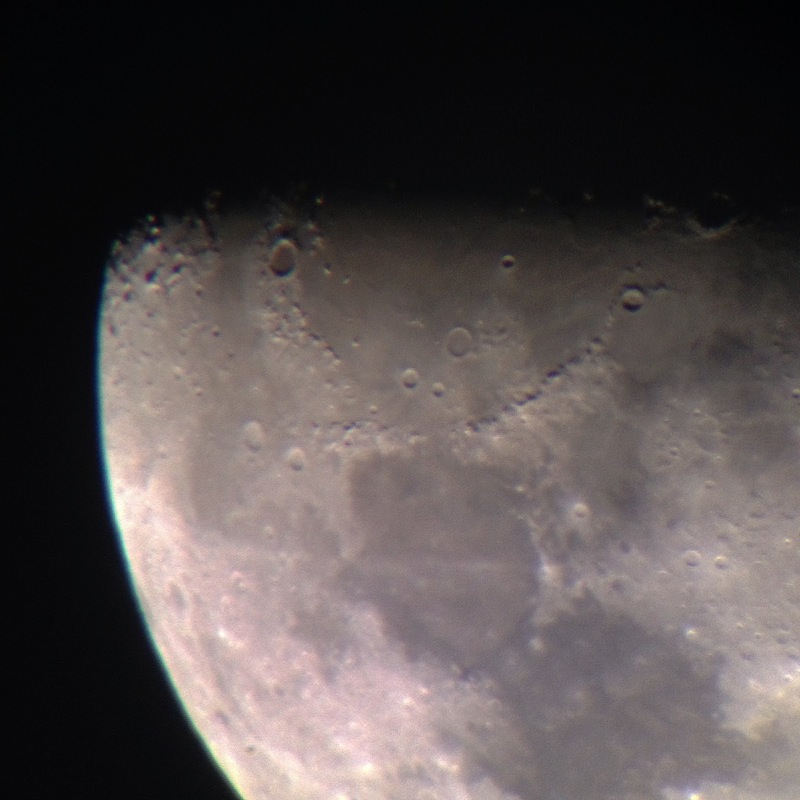 I'm working on some lunar geography with my Meade 285 refractor. 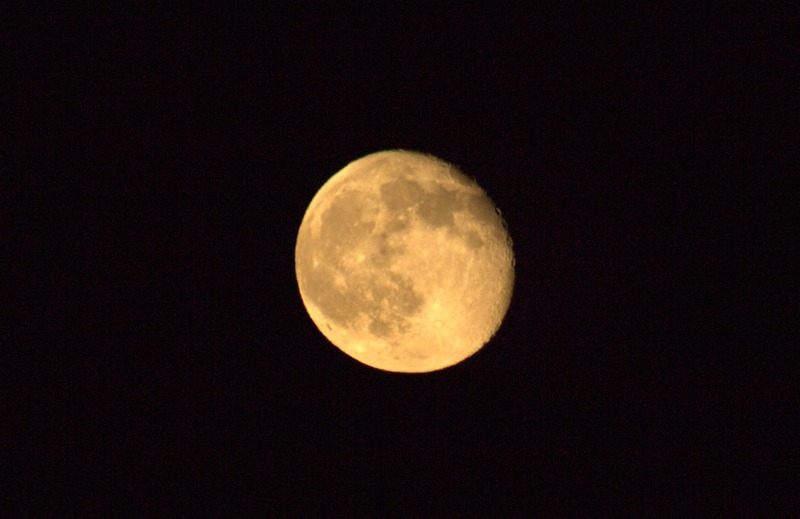 It's not amazing, but it gets the job done - the 6mm eyepiece I got for Christmas is providing some nice views. My DIY telescope adapter mount doesn't work with this 6mm eyepiece because the light cone focuses further away from the surface of the eyepiece - which is great if you're looking through the eyepiece while wearing glasses, but bad for trying to take photos while resting the camera directly on the eyepiece. Ok that was me trying to describe it, and then I looked it up... it's called "eye relief" and it "measures the spacing from the last surface of the eye lens of an eyepiece to the plane behind the eyepiece where all the light rays of the exit pupil are visible" (Celestron.com). My 6mm eyepiece has 14.8mm eye relief which is comfortable so you can blink and not worry about touching your eye directly to the glass. I labeled several prominent craters, including Aristoteles, which appeared on this month's observing list. Archimedes is such a cool name, and it makes me want to watch the Disney version of the Sword in the Stone. I always like it when people provide some context shots so I can see their gear and location, so I did that here. 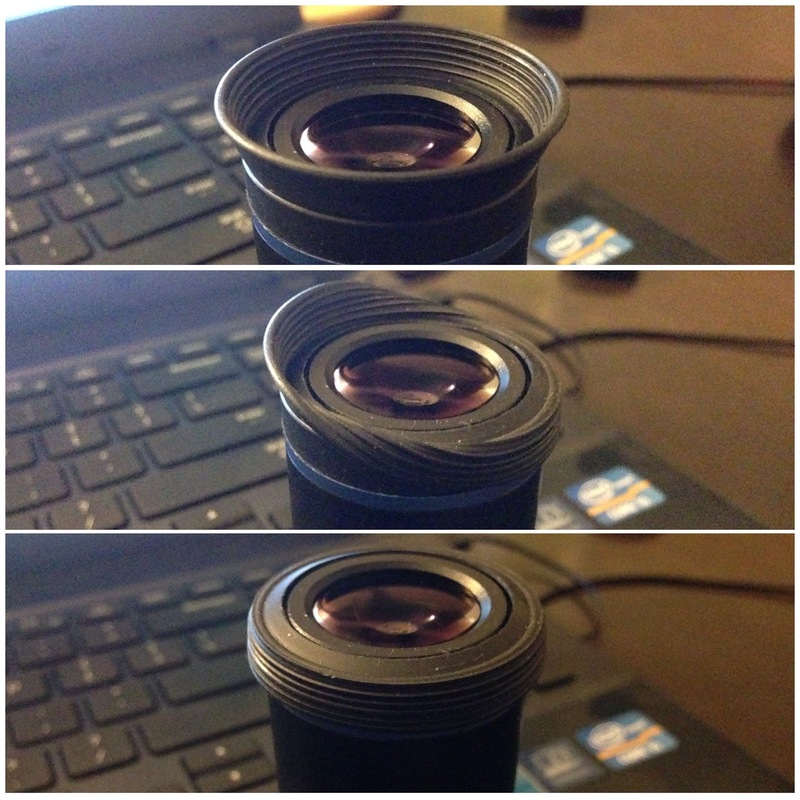 Speaking of gear, I didn't even know this rubber lip on my eyepiece folded up until I started writing this post. I read that eyepieces with eye relief more than 12mm or so usually have a rubber or plastic cuff or shield around the eye lens. Who knew! I love when my photos get outside attention, the excitement goes straight to my ego! 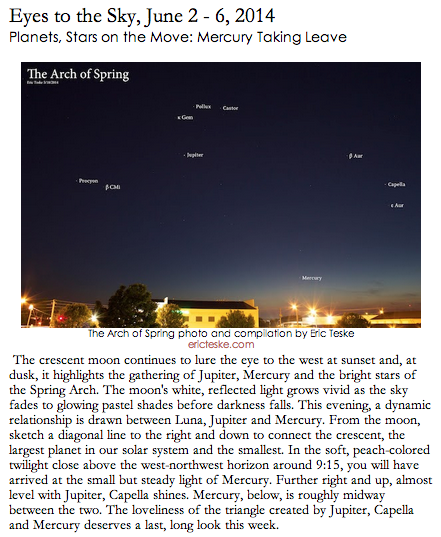 Judy Isacoff writes a regular column for The Broadsheet called Eyes to the Sky, and asked to include my photo of the Spring Arch. 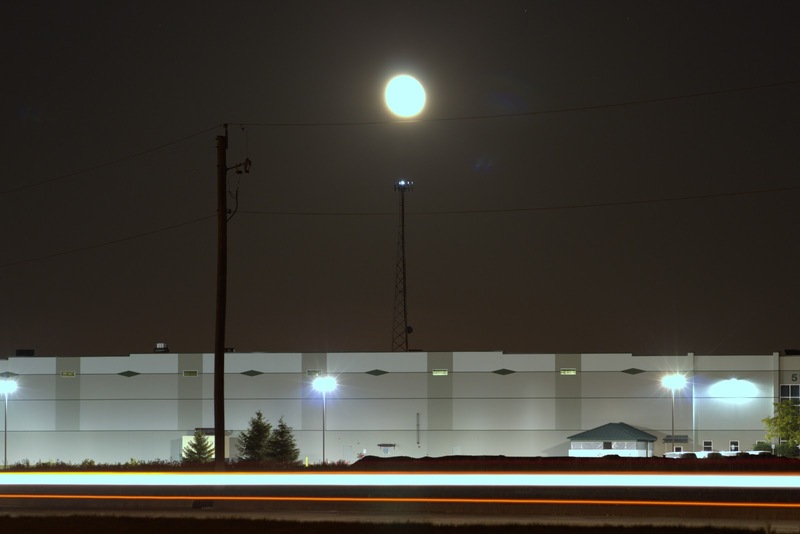 It's a pleasure to be featured and see my photo on another site other than my own! People have been fascinated for quite a long time by meteorite jewellery. This jewellery is made from meteors that fall on the earth, and shaped into various beads, pendants, and different jewellery types. While someone may think that meteorite jewellery sounds quite costly, it’s in fact quite common. For many years, meteors have been falling into the earth’s atmosphere. These meteors are collected by people who turn them into various beautiful items. In the past, our ancestors even used to build weapons from meteorites. 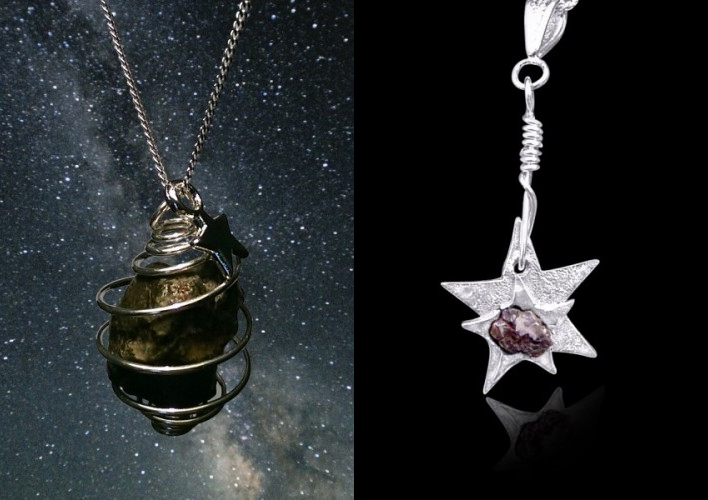 For many centuries, people have loved the beauty of wearing meteorite jewellery. These jewelleries are very common because you can even easily find a space shop which provides meteorite jewellery online. People love it not just because it’s fashionable, but because they believe that it hold various different healing properties. Although today, most of these qualities have been refuted by science, we simply cannot get enough of this fun jewellery. If you’ve never heard of meteorite jewellery, you’re possibly wondering what all this fuss is about. If you are a skilled jewellery maker, it’s easy to buy meteorites over the internet and convert them into bracelets and necklaces. Some jewelers like coating the stone with pewter and adding and eye to string through. Others get fine meteorite dust pieces and add them in metal jewellery work. If the meteorite material is strong and top-notch, you can drill through it to make beads. The only thing that hinders most jewelers is their imagination. You can really make simply about anything from meteorites. 86% of meteorites are rocky and stone-like, referred to as chondrites. They’re called chondrites due to the round grains known as chondrules that were formed from once molten droplets in space. These chondrites are sold in whole or in slices and are bought by collectors who value the outer fusion and inner metallic flecks of meteorite. These can as well be smoothed and shaped into jewellery or sculptures. A sub type of the stony meteorite is achondrite – so known for the reason that it doesn’t comprise chondrules. This meteorite is rarer than chondrites; only 8% of meteorites are achondrites. They’ve an igneous, basaltic look like moon rocks and are admired for their more-crystalline interior. They are as well sold whole or in slices. One thing about meteorites is that they are mostly brown in colour. So you have look for wonderful colored gemstones you can mix with meteorite. You can make polished ruby crystals or ruby cabs. Ruby is quite harder. It falls 9 on the hardness scale and one below diamond. You need to use diamond pads, pastes, and disks to cut facets and refine ruby. One strange thing concerning the hardness scale is that its increments aren’t spaced regularly. But, if these increments were spaced with more real hardness then diamond would be on the order of 40. It’s that harder than corundum. A stone meteorite contains minerals and is fairly soft. Of course, except for the diamonds in carbonaceous chondrites and urelites. If you are looking for a good gift for someone special or just to delight in them, there are many jewellery stores where you may find these unique jewelleries. 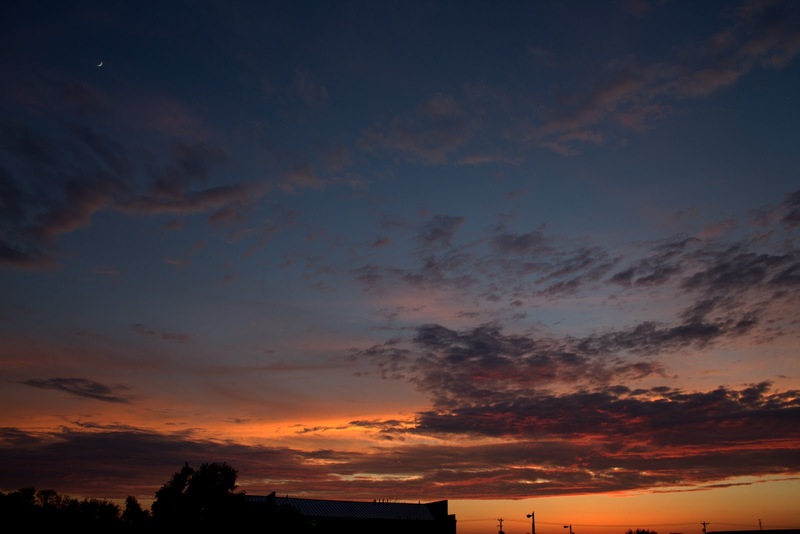 Caught the crescent moon (top left) and an epic Indiana sunset last night. 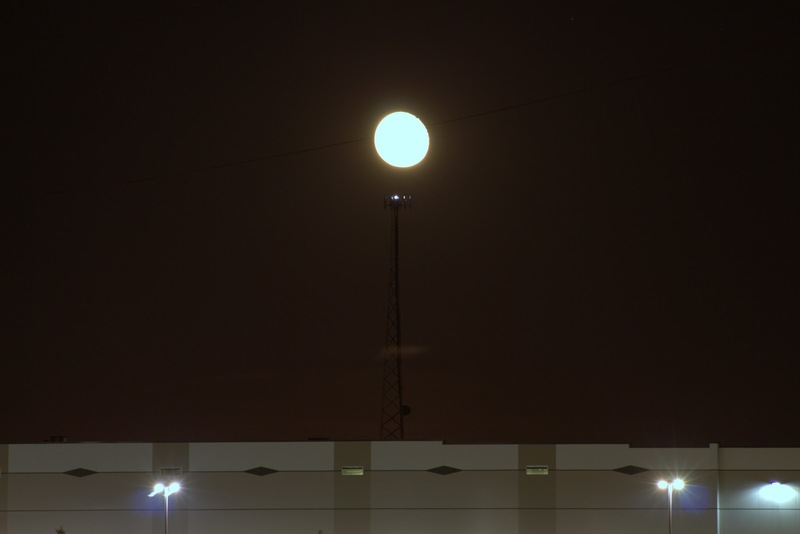 Full disclosure, I did tweak it a little using Picasa's shadow tool to slide the entire histogram to the left (which basically makes the darks darker). It looks like I blasted the saturation or applied an HDR effect, but I didn't need to in this case. Last month, I observed 6 objects. I photographed most of my objects in the same night - which was handy because we had a couple clear weekends last month. However, doing them all at once was a huge burden in terms of processing time, and I spent much longer shuffling files around on my computer than I did actually observing the objects. I prefer to spread my observing out over the month and enjoy photographing a couple objects at a time. This month looks like a good time to break out the refractor and try to split some double and triple stars. I did a lot of gray fuzzy blob Messier objects last month, so multiple stars and lunar landmarks might be a good change of pace for me. Kappa Boötis, Double Star in Boötes, 14h 13.5m, +51° 47, mag = 4.6, 6.6, sep = 13.4"
Pi Boötis, Double Star in Boötes, 14h 40.7m, +16° 25', mag = 4.9, 5.8, sep = 5.6"
Epsilon Boötis, “Izar”, Double Star in Boötes, 14h 45.0m, +27° 04', mag = 2.5, 4.9, sep = 2.8"
Alpha Librae, “Zubenelgenubi”, Double Star in Libra, 14h 50.9m, -16° 02', mag = 2.8, 5.2, sep = 231" (easily split with binoculars). From Arabic, meaning “Southern Claw” (Libra was once part of a bigger Scorpius). Xi Boötis, Double Star in Boötes, 14h 51.4m, +19° 06', mag = 4.7, 7.0, sep = 6.9"
✔ Saturn [Observed 1:45am ET 6/15/2014], planet currently in Libra, 15h 05m, -14° 54’, mag = 0.7, size = 18” (43” with rings). Delta Serpentis, Double Star in Serpens Caput, 15h 34.8m, +10° 32', mag = 4.2, 5.2, sep = 3.9"
Zeta Coronae Borealis, Double Star in Corona Borealis, 15h 39.4m, +36° 38', mag = 5.1, 6.0, sep = 6.3"
M101 – the “Pinwheel Galaxy”, in Ursa Major, 14h 03.3m, 54° 22’, mag = 8.5, size = 22’. 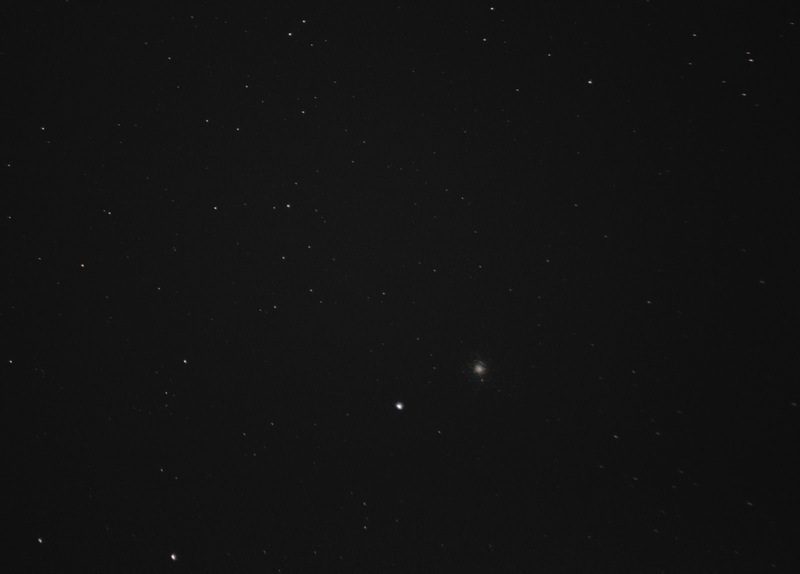 M101 can be very elusive because of its large size and low surface brightness. Saturn – can you see the Cassini Division in the rings? 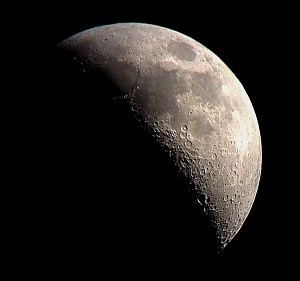 There are a handful of moons that can be seen in an amateur scope. In order of magnitude, these are: Triton (9.0), Rhea (10.3), Tethys (10.8), Dione (11.0), Iapetus (11.8), and Enceladus (12.4).